Although the Consumer Credit Act has give borrowers more choice of lenders than ever before there will always be loan lenders to avoid. Loan lenders to avoid will include high interest lenders and lenders that disregard factors such as credit references. Although the Consumer Credit Act does set regulations regarding how much interest can be charged this does not stop high interest lenders existing. High interest loan lenders target people with bad credit records who cannot obtain credit elsewhere. These lenders will apply the highest interest rates to loans and credit cards, and these loans can sometimes take years to pay off. High interest loan lenders will also apply much higher fees if borrowers miss, or are late with payments. They will be unscrupulous when collecting their payments and can often harass and threaten customers, although this is against the law. Borrowers who are considering using high interest lenders should always be aware of the terms and condition of any loan contracts that they sign. No credit lenders are similar to high interest lenders and will also apply high interest rates. However, these lenders will entice people with claims such as “no credit checks” and “previous bad debt not a problem”. Many of these lenders will, as the law requires, advertise low interest rates on their advertisements. When borrowers apply they will then find that the low interest rates are only available to those with good credit records. Very high interest rates will then be applied to people with bad credit records. Doorstep lenders are definitely loan lenders to avoid. There are two well known door step lenders in high streets around Britain. Their interest rates are advertised at a shocking 177% annual percentage rate. Again they target people who cannot find credit elsewhere, and they will collect payments by appearing at the borrower’s home on a regular basis. 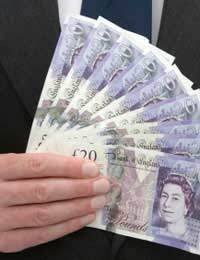 Doorstep lenders will usually only offer low amounts from around £200 to £500. By doing this they can hook borrowers with repeat lending that can continue for years. These lenders should be avoided and are only useful as a very short term debt solution. No doubt, at one time or other, you will have been offered a credit account card when buying goods in a department store. Department store cards have notoriously high interest fees and are one of the highest forms of credit available on the market. With the added interest the purchases bought on a store credit card will be a lot more than if bought using cash. Ironically these cards can be useful if the borrower has a bad credit history and is trying to rebuild their credit rating. The borrower must stick rigidly to the repayment schedule for this to work, and if possible repay the full amount each month without paying interest. If you have a good idea of the loan you want and the lenders tries to push you into a different loan, then welcome to the world of high pressure lending. High pressure lenders will make a lot of money on commission by pushing certain loans even if they are not right for the borrower. This will include selling payment protection insurance policies when they know the borrower will never use them. Borrowers should never allow themselves to be talked into a loan that is not right for them. Knowing the loan lenders to avoid is fairly easy. They will charge high interest rates and try to push other financial packages such as payment protection insurance. If you are looking for a good lender then recommendations from others and researching your options is the best way to avoid the bad lenders.